We cannot find quick and easy answers for Frequently Asked Questions; if we could, people wouldn’t keep asking them. That means that they’re worth looking at simply as a way of understanding why maybe these aren’t exactly the questions we need to be asking. Consider, for example, questions about the Star of Bethlehem. Why is this so fascinating to people? What’s at stake at being able to identify (or not being able to identify) some astronomical event as the “real” Star? Maybe the better question is why Matthew included this event in his Gospel… and why we’ve been fascinated by it for so long. A post on The Catholic Astronomer website by Br. Guy Consolmagno, S. J., of the Vatican Observatory, discussing how eastern astrologers with their flawed belief that the fortunes of men are told in the stars, followed their mistaken calculations to discover a king very different from what they were expecting. A post by Vatican Observatory astronomer Br. Guy Consolmagno, S. J., on The Catholic Astronomer website, based on a column first published in the Tablet. A reflection at Christmastime about how the Incarnation is also the incarnation of reason itself. Epiphany: How All of Creation Points to Our Source and Summit. In this entry at the Thinking Faith website, Br. Guy Consolmagno, S. J., an astronomer with the Vatican Observatory, discusses the questions that Vatican Astronomers are often asked about the Star of Bethlehem. His conclusion: there is no certain explanation about the “star,” and worrying too much about such explanations risk distracting one from the Person whom the star was meant to highlight. Click here to read the original article at Thinking Faith. Misplaced Obsessions: Understanding Why Christmas Is On December 25th. To get from the 25th of Kislev to December 25th, we first make a pit stop at the Julian Calendar, which was determined to be slipping each year through the work of the first Vatican Observatory in the Tower of the Winds, leading to the reformed Gregorian Calendar. The Christian West embraced the Gregorian reforms while the Christian East chose to remain on the Julian Calendar. This is why, to this day, there are two dates in the Christian world for the celebration of Jesus’ birth: December 25th in the Christian West and January 7th in the Christian East. Further, we see that the Jewish calendar is a lunar calendar so the 25th of Kislev, Hanukkah, seldom coincides with December 25th. 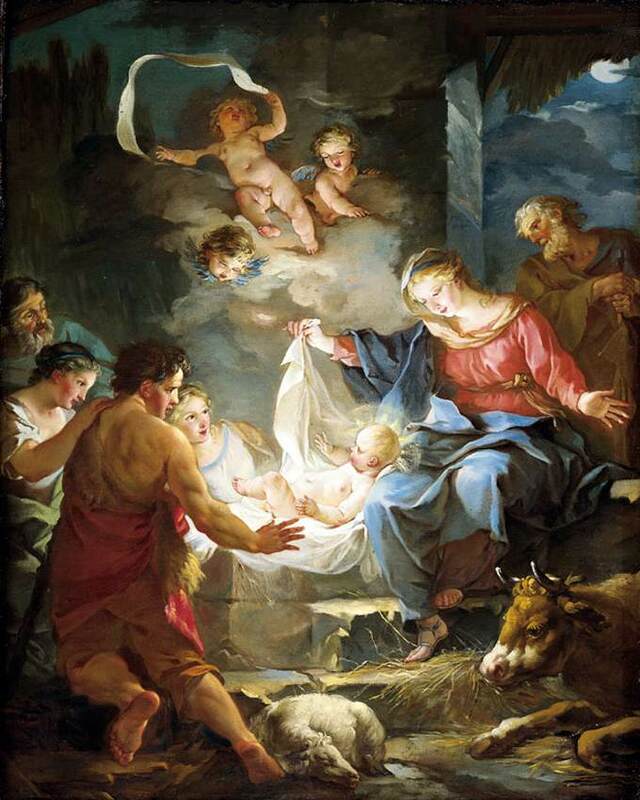 In short, the presumption of when Jesus was born is far more difficult to pin down than one would think. Was There Really a Star of Bethlehem? In this video from Catholic News Service, Br. Guy Consolmagno, S. J. of the Vatican Observatory talks about the possibility that the Star of Bethlehem was a real astronomical event. The Star of Bethlehem: The Legacy of the Magi is a somewhat technical book written by Michael R. Molnar and published in 1999 by Rutgers University Press. It is technical in that the thrust of the book is that the Star of Bethlehem was the planet Jupiter in a position in the sky that was of importance to the astrologers, that is the “magi”, of the time. Readers will not find discussions of some spectacular blaze of light such as hangs over many a Nativity set. Readers will find an argument for why Jupiter fits everything that is described in the second chapter of the Book of Matthew. Could the $50 purchase of an ancient coin by a Rutgers astronomer have unlocked the mystery of the Christmas Star? For years, scientists have looked, with little success, to astronomical records for an explanation of the magical star that guided the Magi to Christ’s manger. Intrigued by the image he found on the latest addition to his coin collection, Michael Molnar thought there might be more to learn by looking, instead, at the teachings of ancient astrologers. Molnar argues in his book that the Star of Bethlehem was not a star at all, but rather a regal portent centering around the planet Jupiter that was eclipsed by the moon. He bases this theory on the actual beliefs of astrologers, such as the Magi, who lived around the time of Christ. Molnar found some intriguing clues to the mystery while researching the meaning of astrological symbols he found an ancient coin, which bore the image of Aries looking back at a star. He found that Aries was a symbol of Judea at the time, and that ancient astrologers believed that a new king would be born when the moon passed in front of Jupiter. Molnar wondered, could the coin have been issued as a response to the Great Messianic Portent, the Star of Bethlehem? To match the story of the appearance of the Christmas star, Molnar also knew the event had to happen when Jupiter was “in the east.” Using these criteria and a computer program, he was able to chart an eclipse of Jupiter in Aries on April 17, 6 B.C., a day when Jupiter was precisely “in the east,” which confirmed his theory. Moreover, he found that a Roman astrologer described the conditions of that day as fitting the birth of a “divine and immortal” person. According to Harvard University Professor Owen Gingerich, “this is the most original and important contribution of the entire 20th century” about the Magi’s star. Using clues from astronomy, astrology, and history, Molnar has created a provocative, fascinating theory on the Christmas Star. He weaves together an intriguing scientific detective story which resolves one of the world’s greatest mysteries: The Star of Bethlehem at the birth of Christ.